The Augusta National greens are supposed to be the biggest defense against low scores. Combining slope and tile-floor fast stimpmetered carpets, they are a 3-jack waiting to happen anywhere, anytime. Yet, as Golf.com’s Mark Broadie reports, the greens are surprisingly no more difficult than those on the regular tour stops. With Augusta’s fast, undulating putting complexes, you might suspect that players miss more six-footers here than on a typical PGA Tour course, but you’ll be surprised to learn that they actually sink two percent more at Augusta. (Yes, that’s a lot!) Why? ANGC’s greens are so expertly manicured that putts simply roll truer—so true, in fact, that players sink more putts inside of 10 feet at Augusta than anywhere else! Share: Are Augusta National’s Greens Really That Hard? 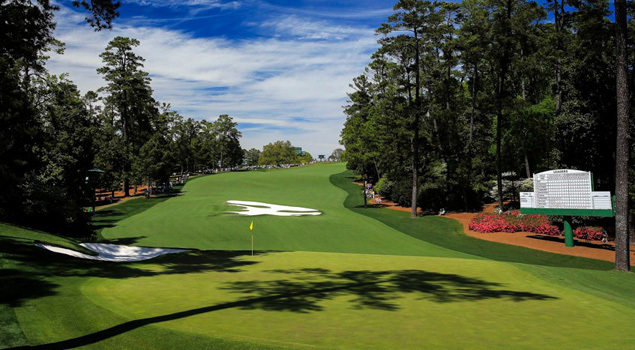 You are here: The Blog / Are Augusta National’s Greens Really That Hard?